The nosebleed stakes PLO tables were busy last week, with many of the regulars seeing action. Two of the most significant such high stakes matches saw Patrik Antonius go up against Daniel Cates at Full Tilt Poker and Viktor Blom (Isildur1) lock horns with Scott Palmer at PokerStars. Both matches ended up as one-sided affairs, as Blom took about $500k from Palmer and Cates scored a $608k profit at Antonius’ expense. The Cates-Antonius duel took place at the $300/$600 PLO tables at Full Tilt Poker. The two played a little PL Holdem as well. Three 6-figure pots developed during the session and each and every one of them found its way into Cates’ pockets. 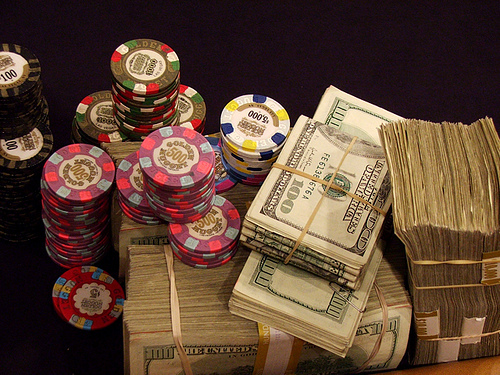 The biggest pot was a $350k monster, which saw the chips shoved into the middle on a flop of K,4,2. Both players had a two pair then, but Cates’ was bigger. They ran the turn and the river cards twice, and both times, it was Cates who came out on top, taking down the entire pot. Another monster, this time a $168k one, ended up in Cates’ possession when his A,Q caught another Q on the turn against Antonius’ pocket Js. For the third 6-figure pot (a $159k one), Cates made a boat to beat whatever Antonius had (he never showed his hand). Over at PokerStars, Blom was trouncing Palmer at the $100/$200 PLO tables. This confrontation was about as one-sided too as it gets. At the end of it all, Blom was the happy owner of about half a million of his opponent’s buckskins. The largest pot of this session was a $112k one, which fell to the Swede in a pretty spectacular fashion: the river card gave Palmer a flush, but it also gave Blom a boat to hand him the pot. Daniel Cates and Viktor Blom are joined on the week’s biggest winners list by Andreas Torbergsen and ‘compris’. The biggest losers of the week were Antonius, Palmer, Alexey Makarov and Gus Hansen (who also dropped almost $500k). 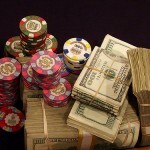 It never seizes to amaze me how much money changes hands between the poker superstars. Thanks for an informative weekly update on the action.